Gold Plated Bajuband/Armlet/Vanki/Upper arm Band with adjustable rope. 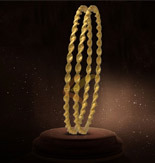 It have a Golden rope chain which is enhanced by White stones in a Mango Shape. 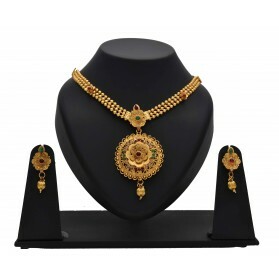 This Dance Jewellery will make your hand look stunningly beautiful on any Classical dance. Gold Plated Bajuband/Armlet/Vanki/Upper arm Band with adjustable rope. 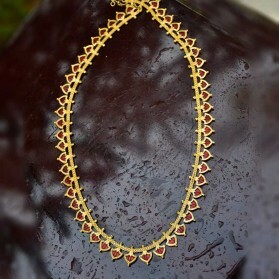 It's have a Golden rope chain which is enhanced by White stones give a ethnic look. This Dance Jewellery will make your hand look stunningly beautiful on any Classical dance. 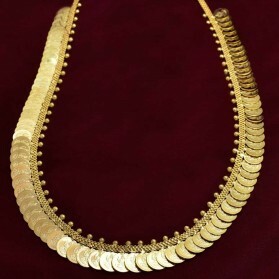 Gold Plated Bajuband/Armlet/Vanki/Upper arm Band with adjustable rope. 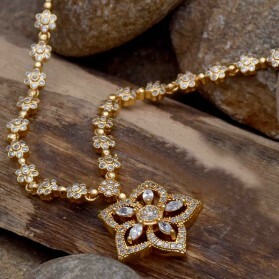 White stones adorned beautifully in a golden chain. 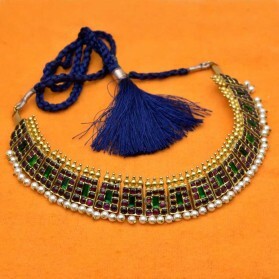 This Dance Jewellery will make your hand look stunningly beautiful on any Classical dance.